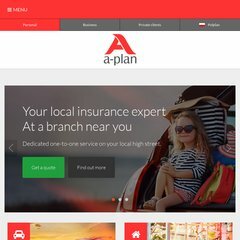 Topics: Branch Finder, Motor Insurance, and Car Insurance. Age: The domain is 23 years and 0 months old. Iomart Dc1 Core Network (Scotland, Glasgow) is the location of the Microsoft-IIS/7 server. It is written for ASP.NET language. Its 2 nameservers are ns1.namecity.com, and ns2.namecity.com.